Each year, Viking Yachts invites their dealers, vendors, and VIP customers to tour and sea trial each new model. 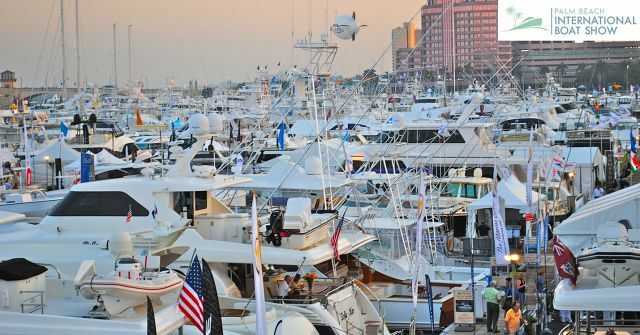 Join SI Yachts at the 2019 Viking Yachts VIP Boat Show and Sea Trial Event at the Viking Yacht Service Center in Riviera Beach, Florida on February 1st and 2nd, 2019. Spend two days touring every new model and meeting with factory representatives. Viking's vendors like Palm Beach Towers, AME Electronics, and many others will be on hand to show you the latest products and accessories. Be among the first to see the world premiere of the 38 Billfish as well as several other new Viking models. Time slots for sea trials are limited so RSVP today to Vanessa Bonilla at (516) 623-6060 or at VBonilla@SIYachts.com. 2017 VIP Preview from Viking Yachts on Vimeo.